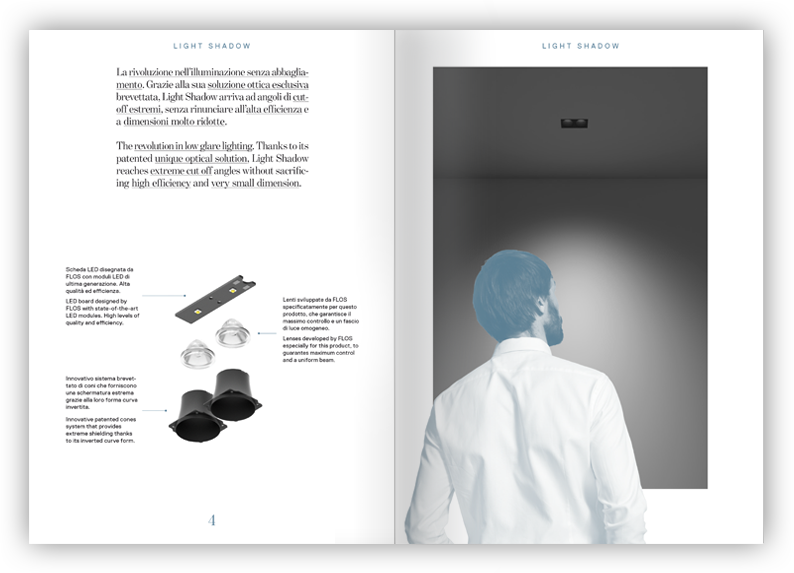 Compact size program designed to avoid glare. Variety of optics, sizes and finishes, for recessed and surface installation. Great control thanks to its patented optical group. Collection available in black and white exterior finishes which are combined with different cone finishes, which go from black, developed to obtain the greatest level of comfort, to more sophisticated finishes such as white, silver and gold. 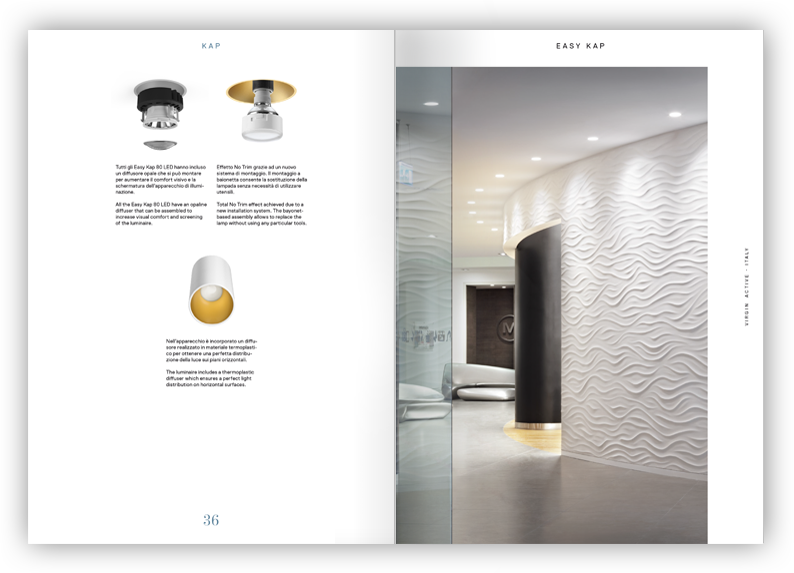 A collection of recessed and surface mounted elements for interior installations that include avant-garde LED solutions and luminaires designed for LED retrofit installation. A wide variety of sizes and finishes that ensure a perfect integration in all environments. Optic body to ensure an excellent visual comfort. Includes different versions for a fast frame-free installation with the Fast & Perfect system. Interior lighting spotlight with LED light source. 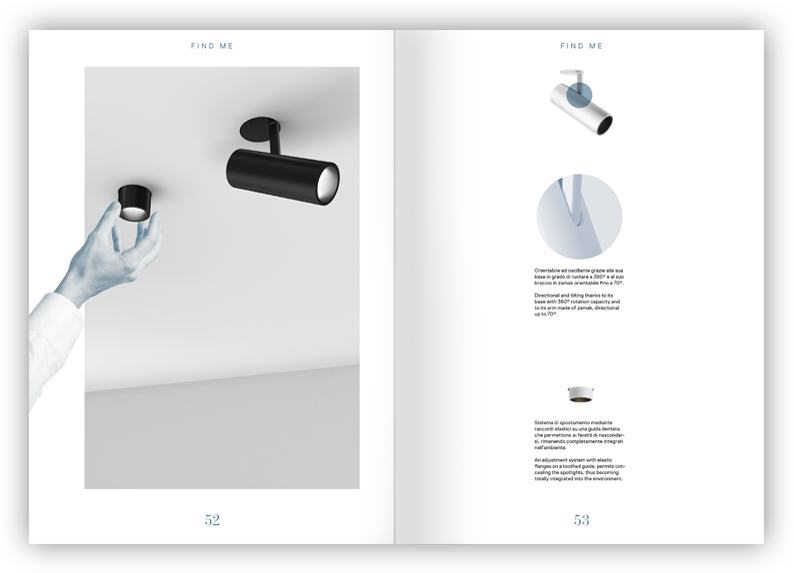 Available in three versions: Mono Point version, consisting of a removable cylindrical housing which, in its upper position, acts as a downlight, and in its lower position, becomes a directional spotlight, Double Point version, consisting of a recessed box which houses two spotlights and a Suspension version. Register now to the Newsletter and discover Flos new architectural products ready in stock.